Philadelphia Flyers mascot Gritty performs during a timeout in the third period against the Florida Panthers at Wells Fargo Center. Voters showed much support for him at the Philadelphia polls in November 2018. Gritty may rank as one of the best men of 2018, but the Philadelphia Flyers mascot's cultural relevancy is leaking into 2019. The infamous Philly figure is now the star of some classic books. Graphic designer Molly Murphy reimagined some famous book covers, swapping in Gritty for other key characters. The full designs are posted online at Old City-based Quirk Books. Unsurprisingly, Gritty's literary cameos overlap with some top-notch Philly-related literature, including a Grecian-inspired recreation of "Circe," written by local author Madeline Miller. Then there's "Gritty Pants," where Tina Fey is sporting some hairy, bright orange arms on the cover. Gritty also fits in perfectly on the cover of "Where the Gritty Things Are," and gives new meaning to Owl Eyes on the cover of "The Great Gritsby." Finally, I think we can all agree with this children's book title: "Don't Let Gritty Drive the Bus!" 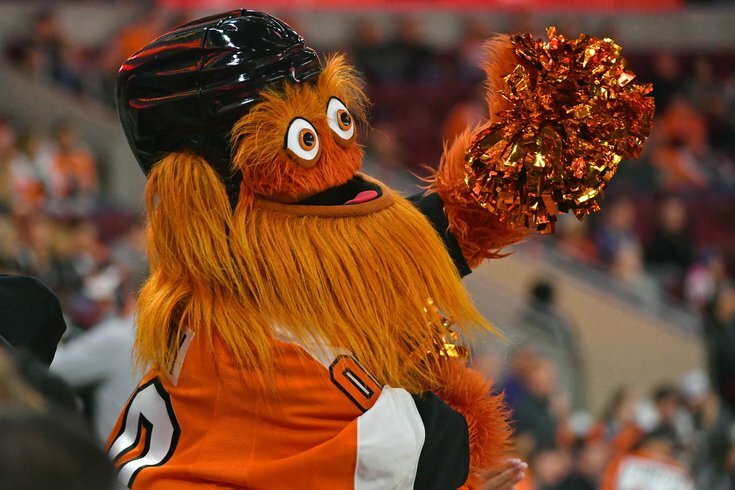 "Listen, we're from Philly, and we are very proud of our new official mascot for the Philadelphia Flyers NHL team, Gritty," Murphy wrote in a Quirk Books blog post. "He is perfect. Maybe you never noticed, but Gritty has made appearances on quite a few book covers. Don't believe us? Look again." Take a look at all these literary discoveries here.